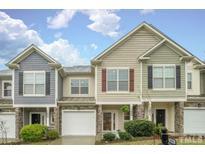 Find Cary, NC Condos for sale. View Photos, Maps and MLS Data Now! Wellington Ridge - Conveniently located in a quiet community with easy access to I-40 and Crossroads shopping. MLS#2250393. 1758. Washington Square - Don't miss this one - it will not last long! MLS#2250319. 4625. 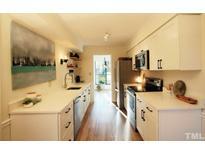 Washington Square - Upgraded with fresh interior paint throughout. MLS#2250002. 4823. The Mews At Greystone - Screened porch provides exterior entertaining space. MLS#2249957. 1320. 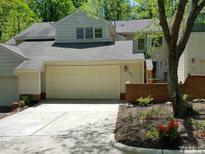 2 car garage- Close to Shopping & Dining & RTP + RDU Airport~ MLS#2249652. 986. 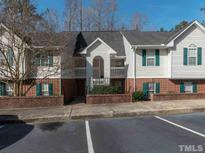 Riverwalk Townhomes - Close to shopping and all amenities... welcome home! MLS#2249011. 3367. Home is to be build and buyer can still pick all interior options! Ask about April/May incentives. MLS#2249484. 3140. Bluffs At Regency - Connected to miles of walking trails, including Koka Booth Amphitheater, Symphony Lake, Lifetime Fitness and much more! MLS#2249398. 5019. Applecross - Next door find a lake, dining & shopping, Trader Joe's & Whole Foods. MLS#2249615. 4025. Paxton - The enclosed patio offers great space for relaxation and socializing! MLS#2249535. 5026. Riverwalk Townhomes - Nestled In Back Of Community, Close To Shopping, Restaurants, Sidewalks & Trails! MLS#2249409. 1710. 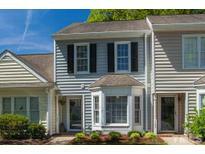 Applecross - The seller is offering 2,000 closing cost and has a home warranty in place. MLS#2249624. 4878. Waterford Place - All appliances covey - refrigerator, washer, dryer, microwave. MLS#2249607. 1978. Extended patio for outdoor living landscaped with privacy fence. A MUST SEE! MLS#2247610. 4062. Paxton - Split bedrooms plan with master on back side of the home. Large deck for entertaining. Hurry! ! MLS#2249281. 3670. Basement-family room, wet bar, built-ins,bedroom,exercise,& bath. MLS#2246896. 2831. 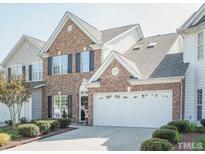 Carolina Preserve - Enjoy world class amenities in this 55+ active adult community. MLS#2248851. 4772. Patio and private backyard to relax and enjoy nature. Great wake county schools. MLS#2248349. 872. Upgraded features include fresh interior paint and new carpet in select rooms. MLS#2248374. 4823. Fryars Gate - Enjoy time outdoors on the spacious deck off Living Room & kitchen or lower level patio. Tankless water heater. MLS#2248499. 2739. 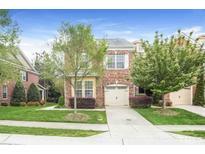 Macgregor Downs - 1st floor master Bedroom~ Two story living Room w/fireplace~Loft overlooking family Room~Full basement w/ family Room, custom built-ins~ fireplace~ extra flex Room~Office or 4th bedroom w/custom built-ins & full bath. Beautiful views from deck & patio! MLS#2247946. 5236. Excellent schools & location! Shows like a model! MLS#2246707. 3051.